I wonder when I will be able to stop writing about Winterbourne View. This month I want to write about two important conferences. Are you ready to help reduce drug prescribing? 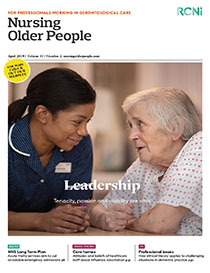 THE ROYAL College of Nursing has issued a position statement that it hopes will steer government policy on the future of the learning disability nursing profession.